Jillian Holguin, LCSW/ Yourself First, LLC (Jersey City) - Book Appointment Online! Welcome! 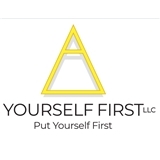 Yourself First Therapy and Life Coaching, LLC is a private practice outpatient setting that provides individual, couple, family and group psychotherapy sessions. Yourself First also provides life coaching services to clients that need stress related work/financial management. For more information please visit my website at www.yourselffirst.org! I specialize in trauma specifically sexual trauma, anxiety/depression, obsessive thought disorders, addictions and ADD/ADHD. I take pride in the integrity and quality of the treatment I provide my clients. I am grateful that my client’s have developed such a comfort level to express and process severely traumatic events and or their own victimization that has occurred in their lives; especially those disclosing for the first time. It is an honor to be with you on this journey towards you achieving your goals. I admire Jillian's professionalism and her ability to meet her client's needs. She is truly admirable and genuinely wants whats best for her patients.